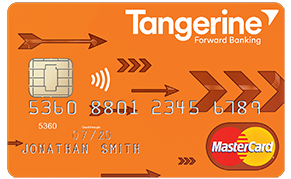 Tangerine began offering a Mastercard back in 2016. I decided to get this card only last month, as I was looking for a no annual fee (AF) Mastercard that would be my go-to card, so that when I was not trying to hit a spending threshold on another card, or I was shopping somewhere that only Mastercard was accepted, I would have a card I could use at places such as No Frills or Costco. The Capital One Costco cashback Mastercard is good for gas (2%), restaurants (3%) and 1% for everything else, but what drew me towards Tangerine was being able to choose 3 different categories of 2% and still get 1% on all other purchases, making this a superior card in cashback to the Cap 1 card. It even offered only a 1.49% foreign exchange (forex) fee compared to many other out there that charge 2.5% or higher. Well, the letter dated March 24th came right after a call I had placed to Tangerine credit card customer service, where I advised them on how to make their card even more lucrative, and instead of listening to my thoughts, they did the opposite. No longer will you get 1% cashback on all other purchases--it will only be 0.5%. Their "competitive" forex fee is going up to 2.5%, a full percentage increase. There is nothing positive that can be said about these changes--it's pure greed, and coming from Tangerine, which prides itself on no fee (or minimal fees), they should be holding their heads in shame. Chase Canada's Amazon.ca card. It offers a $20 gift card upon approval, 1% on all "other" purchases, 2% on Amazon.ca purchases, and NO foreign exchange fee. If you don't mind carrying more than one Mastercard in your wallet, I would ONLY use the Tangerine for your three 2% categories (you get to choose from a select list of categories--only two categories to select from the list if you don't have a savings account with them). The categories are: groceries, furniture, restaurants, hotels/motels, gas, recurring bill payments, drug stores, home improvements, entertainment, and public transportation/parking. I would use the Cap 1 card for restaurants, gas (Tangerine offers gas as a category, but don't use it up with Tangerine--save it for the Cap 1 card) and everything that is NOT from your Tangerine 3 (or 2). Use Amazon.ca for Amazon.ca purchases (not Amazon.com for 2% cashback--it doesn't qualify though you will be saving on the forex fees) and for all other forex purchases. For normal people, I don't believe I'm suggesting this, but unless the 2% in 2-3 categories is REALLY lucrative, get the Cap 1 Costco Mastercard and close your wallet to any other no AF Mastercards.